According to Perry, "The hardest stuff is the quickest way to God," and readers get to watch the systematic destruction of her carefully planned life, laughing at her missteps, aching at her tragedies, and recognizing themselves along the way. 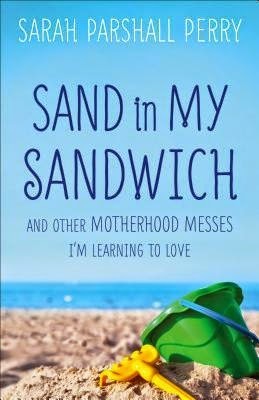 A mother of three children, two of whom are on the autism spectrum, she has experienced plenty of ups and downs, but from the chaos of her "ordinary" life she pulls the universal truths of motherhood, addressing them with humor, poignancy, and a naked honesty that will make the reader think, "That sounds a lot like my crazy life. "Perry helps mothers realize they aren't alone, even if they've fallen off the straight and narrow of their intended path and are instead lying in the ditch next to it. Life's a mess. But as Perry reminds us, it's all for a purpose. Let's face it. Motherhood is messy. We would all love to pretend that our homes our spotless, our children are always well behaved and dinner is always on the table right on time, but it's just not the case. Sarah shares her story of motherhood with tongue in cheek humor and a refreshing sense of transparency. While I don't have a child on the Autism scale, I do have a special needs kiddo and I remember the looks I would get in stores and such. Knowing that another parent has been there made me smile. Not everyone will relate to every part of this book, but if you're a mom, it's well worth the read!